Reflections on ‘Montage of Heck’. The Life and Art of Kurt Cobain – Robert Berezin, M.D. Montage of Heck, the life of Kurt Cobain, is a very disturbing and powerful documentary. Cobain is the poster child for emotional devastation. And yet, at the same time, there is something in his music which resonates powerfully with his generation. Brett Morgen, the writer and director, beautifully and painfully captures the dialogue of his life with his art. 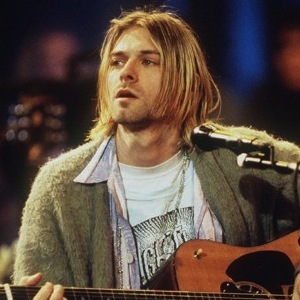 Montage of Heck traces Kurt’s life through home movies, his extensive drawings from an early age, animations of his drawings, his music and concerts, stories told through interviews with the key figures of his life, and actual videos and movies of scenes from his life. I don’t make it a practice to analyze people from afar. In general one never knows the true story behind the story. But this documentary is so biographical that it gives us such a clear window into what happened to Kurt and how he became who he was. No generalization will capture his essence or his art. Kurt, like all of us, evolved his character as the culmination of how his temperament digested his emotional environment of responsiveness, abuse, and deprivation. This interplay in each of us writes a play in the theater of our consciousness. Kurt became who he was as a result of this internal scenario. This documentary affords us a rare and tragic view as to how it all got established and played itself out – his pain, his shame, his inability to relate, his drug addiction, his art, his suicide. His parents had a painful divorce when he was nine which he never got over. Kurt felt a deep sense of shame, desperation and abandonment. He always longed for an intact family. He became defiant and withdrawn. His mother chose an abusive relationship over Kurt and kicked him out of the house. He lived with his father who soon remarried. Kurt tortured his new siblings, and his father kicked him out as well. 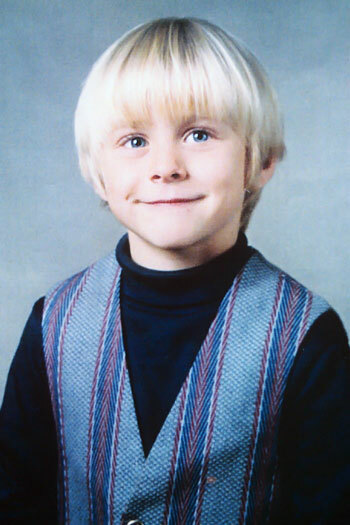 Kurt then lived with a number of relatives and occasionally his mother and sister. Nothing was stable. He immediately started drinking and smoking marijuana. He was actively suicidal by thirteen. Kurt became an insolent loner and a bully. Because of his small size he was ridiculed and humiliated. He was alienated and filled with hatred. Kurt dropped out of high school, and lived with a girl who supported and tried to mother him. He did every drug imaginable, a lot of acid, and started heroin in 1986. He soon gravitated to the Seattle grunge music scene. I will piece together Kurt’s temperament which comes across very clearly. He was an Internalizer, Active, Introverted, and an Observer. Let’s go through each element: Internalizer/Externalizer – An Internalizer who is subject to the trauma of abuse and deprivation retains an internal figure of an abuser persona inside his theater. As such in the context of sadomasochistic play, the abuser figure on the inside attacks the abused ‘self’. The rage is tuned inwards. This takes form as self-hate – “I’m bad; I’m inadequate, I’m stupid, I’m ugly,” etc. In the context of shaming abuse, an Internalizer feels “ashamed”. Kurt was filled with self-hate, shame, and self-attack. His shame would lead him to live in degradation and filth. This was consonant with his inner sense of himself. It would lead him to numb his pain with drugs. As it turns out the specific drug that numbs out the aggression of self hate is heroin. But like all drugs, it doesn’t work. Kurt’s songs reveal his Internalizer orientation. Active/Passive – Active children sit and walk and climb early in childhood. They take off at the beach. The active child is naturally physical, physically expressive, and action-oriented. They are easily bored, need to run around a lot, may have short attention spans, except when they are interested. They can be fidgety, impulsive, and concentrate poorly. This describes Kurt to a tee. [See – “How an Active or Passive Temperament orients our Personality” ]. With an Active temperament we need to look at the degree of responsiveness, abuse, and deprivation that is digested into our plays of consciousness. In Kurt’s early life the family was problematic. There was considerable sadistic aggression and the absence of loving. This became even more magnified with the abandonments and fighting that followed after the divorce, along with the absence of a stable family from then on. In the context of deprivation and abuse, kids like Kurt are prone to spin out of control. 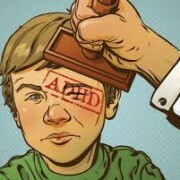 Kurt was falsely defined as having the made up brain disease – ADHD and was given Ritalin at a young age. This did not help. We can see that the things Kurt gravitated to were what he was interested in – a rich drawing life and music. For these he had endless concentration. What Kurt really needed were especially good enough boundaries and love, with safety and security, certainly not abandonments. This is what an active child needs to fulfill himself. 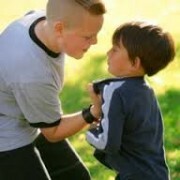 Kurt expressed his impulsive rage by bullying and abusing his step brothers and sisters and other kids. He lacked compassion for the feelings of others. In relation to being subject to emotional deprivation and abandonment he didn’t trust anybody, but had love-hate dependencies on unreliable people. Kurt acted on his impulses especially when humiliated, ridiculed, or betrayed. He had been suicidal since he was thirteen. He had OD’d on heroin many times. Then, in a fit of jealousy and rage, and fear of abandonment, he overdosed on Rohypnol’s in Rome. A month later, On April 8, 1994. He ended his life with a bullet to the brain. He was twenty-seven years old. We can see that Kurt’s introversion was his strength and his tragic flaw. He was consumed with drawing from an early age. He drew all throughout his life. He was a very good artist, and expressed himself powerfully through his visual images. Likewise, he focused on his music with fierce perfectionism – writing and rewriting the music and the words over and over again. His images, his music and his lyrics were always true to his inner voice. His voice was a voice of pain, rage, anguish, despair, self hate, shame, and murder. His singing voice was a harsh, gravelly monotone scream, which pierced like a knife. The instruments were thrashing and violent, which stands in contrast to the hidden melodies which are surprisingly gentle, plaintive and beautiful behind the mask. This contrast creates a stark dissonance of feeling, between lilting beauty and pain. When Kurt quit High school, he moved in with his girlfriend. She worked and stole for him, while he slept all day in squalor and drew and wrote songs. He felt entitled and had no misgivings about draining her dry. Narcissist’s are easily injured and hurt. When he felt ridiculed, abandoned, or jealous it threw him into despair, anguish, and rage. With his Internalizer voice it turned into self hate and shame. With his Active temperament he readily acted on impulse without regard for anybody else’s feeling. It never occurred to him to raise his daughter in a wholesome fashion. He and Courtney Love, his wife, lived a life of heroin squalor, filth and disorder. When he OD’d he didn’t care about even his young daughter. With his suicide, his only concern, tragically, was to end his pain, with no thoughts of others. 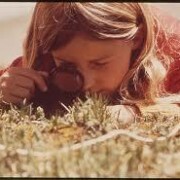 Participant/Observer – The orientation as Participant or Observer determines how one relates to the people and scenarios of the play of consciousness as a whole. 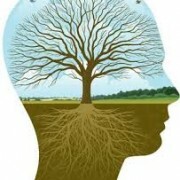 A Participant is naturally oriented to be immersed in and emotionally involved with others. He easily and naturally engages through feeling. The natural orientation of an observer, on the other hand, is to process at a distance, rather than be immersed in the feeling relatedness of the scenario of the play. An Observer tends toward thinking, and emotional removal. . [See – “Are you a Participant or an Observer?”]. Kurt was an Observer. As such he was removed from feeling and relationships. His observations about his life and his reality were perspicacious. As an outsider, he was removed and not a part of things. You can see it in his band interviews, were he usually seems preoccupied off someplace else. He kept to himself, and focused on his private preoccupations. The pull to drugs was geared to numb himself from feelings, to blot himself out. From behind his music screen he screamed his pain. It was understood by the Greeks that there was a function for theater and art. Through art, life’s tragedies could be enacted on stage where the audience could vicariously participate in a drama, and live through it in their imagination. Otherwise, in a world with no art, people would enact the dramas in reality. Without an imaginary war in art, there would be a real war in life. Certain artists like Kurt Cobain put their art into the world. Music is the art form that communicates feeling directly. 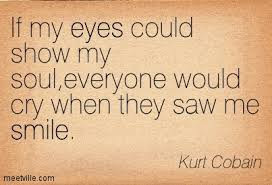 Kurt couldn’t connect in feeling in his real life, which is so much the story of a life of extreme pain. But he could express it in art. He took the extreme pain of the world into himself and put it out there into the music. Kurt lived the extreme of a tormented life. In his own beautiful and ugly way, he sacrificed himself for us through his art. He was pure in it. He didn’t hold back. Kurt suffered in his life from the consequence of emotional deprivation and abuse. I have tried to describe why Kurt had four strikes against him and he couldn’t find his way home. This in no way is meant to reduce him, but to try to understand what happened. As a psychiatrist I would have done everything I could to deal with and help him mourn his pain. His suicide is a tragedy and in no way is it ennobling. His squalor and drug use could have potentially been dealt with. His shame and self hatred, his inability for feeling is such a tragedy not of his own making. His personal issues are purely human issues that derived from his circumstances. This is a human story, not some biochemical brain disease. We need to encompass this tragic story. All of our stories are human stories. It is equally disturbing to me that his music resonates so readily with his generation. Something in this speaks to the dissolution of the fabric of intact families and an intact culture, where so many individuals resonate with such shame and pain and anguish. I wish this were not so. It is my hope that his sacrifice will help us all live through him vicariously in art, as an alternative to living it out in reality. I, unlike Kurt, had a very happy childhood. A mother and father who both loved me deeply, and who have always been there for me in spite of my severe bipolar brain disease/disorder. My mother in particular has shown a fierce determination of love, compassion and caring towards me, which I feel has saved my life from the pain I have experienced going on 20 years now. To call my condition agony would not do the word justice. I have lost more that is dear to me than most could imagine or survive, and it is only because of my loving family and support of many good friends – I have developed extraordinary social skills to make up for the weeks at a time that I “check out” from reality and caring – that I am still here today. My condition was not caused by deprivation, pain, lack. I have been well provided for my entire life. I have been lucky enough to go to college, and even get a graduate degree, not common for someone with bipolar disorder. 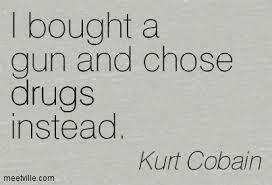 I have also avoided addiction, another mammoth stumbling block that takes many, such as Kurt, to their early graves. I have fought my disease tooth and nail for two decades, and have made more lifestyle changes than most would fathom to combat my “down” periods, to no avail. Regardless of my life choices, my plague returns every time. Maybe for some their condition was caused by nurture, not nature…perhaps the vast majority. 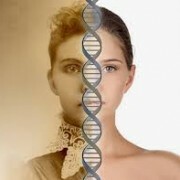 Mine, however, was not caused by nurture, and only someone who has personally combated this disease in their own minds for as long as I have can understand this. I would like to think from my (hopefully, moderately) eloquent statements here that I have demonstrated an intelligence that is quite capable of discerning my own predicament; in fact, I am a writer myself and have used this outlet to express my own life’s story to good effect. But I must strongly disagree that all those who suffer from my disease are somehow here in this place I have now occupied for 20 years because of our environment(s). It belittles the love and unrelenting support that I have experienced through all my days, and places the onus on people and circumstances instead of the biochemistry that is happening within my head. In fact, my young daughter has a much higher chance of developing my condition, regardless of that fact she has a strong, loving mother and a father who will do his best to always stand beside her and share whatever wisdom he’s gleaned over the years, to help her carry through her condition if it should befall her.